Indigenous cultures from around the world have used pictures and art forms to express a moment in time or tell a story for centuries. For Māori, this has/is often in kōwhaiwhai, whakairo, and tukutuku. As we approach the end of our school year, we pause to reflect on our journey, our progress, our challenges, and successes. For us, as facilitators, we have the privilege of working alongside educators, supporting them to reflect on their inquiry. One tool we use, is Story Hui. “Story Hui is inspired by ancient forms of storytelling incorporating speech, sign, gesture, and simple drawing”. Story Hui allows us to capture an image (or sketchnote) of a learning journey. It enables us to dig deeper into how learning was before an intervention, explore the inquiry or action, and reflect on the outcome or evidence. We capture this in pictorial form, and in brief notes during a five-minute sharing slot or session. A further five minutes is dedicated to digging deeper into the story, being mindful of supporting the storyteller to articulate the journey, and reflect on progress. The audience are the people in the room. The story told impacts on educators. As the audience, they are drawn into the story, invited to question and go deeper into the story. This interaction celebrates the journey, and allows the storyteller to dig deeper into their story of practice. I always conclude the Story Hui celebration with capturing an image of storyteller and artist. Today, for the first time, I completed a Story Hui with an educator and her class as the audience. The benefits were numerous. The students listened intently to the learning journey of their teacher, hearing her challenges, successes, and “aha!” moments. They heard themselves in the story, as participants in the journey. The students could dig deeper into the story during the questioning session, carefully phrasing their questions to focus on the teacher’s journey. Acknowledging the progress that they have all made — feeling the celebration and success of the journey —was very rewarding. They were immensely proud of their teacher and themselves. 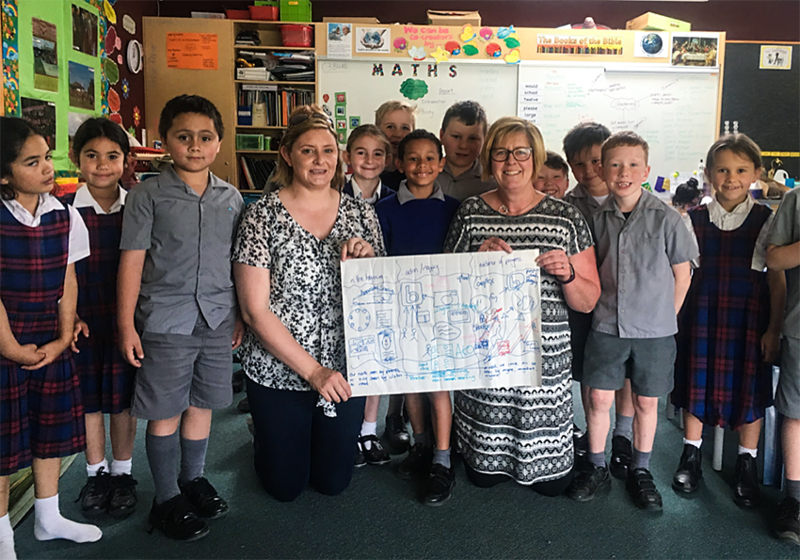 Next steps for this teacher might be to capture a Story Hui of some of her learners’ journeys. What is it that sets Story Hui apart? The focus is entirely on the storyteller and their journey. There is no place for ‘hijacking’ the journey and slipping it to the story of another. It focuses on a change/action/inquiry that an educator has undertaken, looking at the progress to date. It concludes with where we are at NOW. Sure, you can reflect on it and use it as a guide to shape the next part of your journey, but it is a story of progress to date. It is interactive. It is captured visually and via notes. It demands the attention of the audience. It is a celebration, a ‘warts and all’ celebration, is not prepared for, and is directly from the heart, mind, or soul of the storyteller. It is not judged or challenged, and it is valued, acknowledged, and celebrated. I wonder if Story Hui will see itself adding to the reshaping of reporting?. I wonder if learners will create/share their own Story Hui, unpacking their ‘holistic’ progress?. I wonder if learners are able to feel the power of progress they make?. 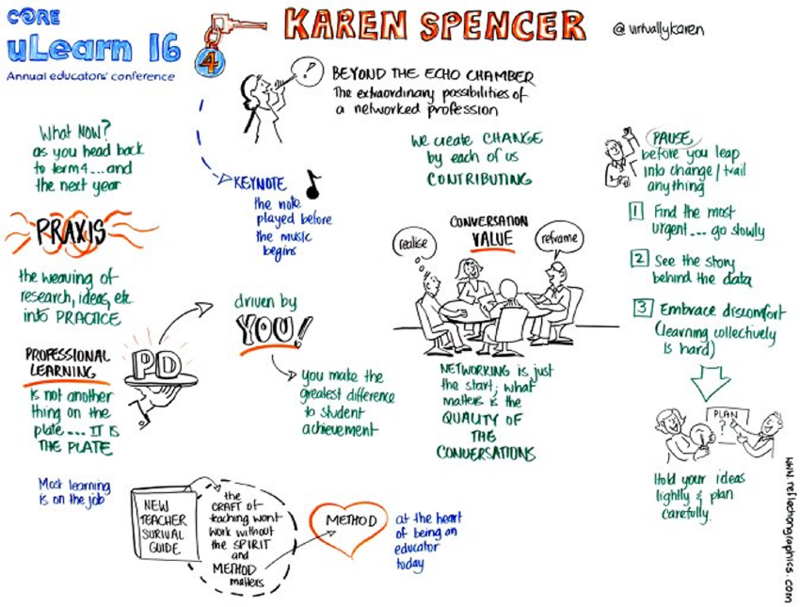 Karen Spencer’s keynote at uLearn16 was captured by Mary Brake of http://www.reflectiongraphics.com/. I had the privilege of hearing this keynote. Revisiting this image enables me to revisit the learning and reflect on many of the key points. A wondering I have is, how can we use sketchnoting with learners to maximise impact? If you capture a learning journey in sketchnote form, it has passed through your filter; you have synthesised the message. If you visit the sketchnote of another, it alerts you to recall poignant messages, and maybe go further, looking at what has been included, and what has been left out. How could a culture of sketchnoting/whakaahua enhance your class, school, learning journey as you unpack your inquiries? My colleague, Janelle Riki, explained to me the deeper essence of the word whakaahua, (which is often used in Māori for picture or photograph) to emanate the essence of someone, something in a picture form. 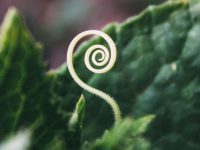 I have previously blogged about mindfulness in a post titled You Matter. A book I am currently reading has a section of mindful art quotes. How could we use this skill in class to empower our learners to explore, adopt, unpack, and ‘own’ their own story in quotes? Could the art of creating imagery or artwork around a quote or phrase, support in adopting or automating of it, and the behaviour associated with it? I am thinking of this with regard to values, vision, anchor charts, and learning phrases, or quotes. Recently, as TEDxChristchurch came to a close, we were offered a taonga. Poet Sophie Rae returned to the stage and offered a piece entitled, “Things we are confused about now”. Sophie captured sound bites from each of our TEDx speakers, making connections, offering challenges, and gifting us an opportunity to go deeper, and make a difference. This got me wondering. So often we capture a learning journey visually, using a tool or framework such as Story Hui. How often do we capture a journey using sound bites, capturing key ideas, making connections and going further? Just as sketchnoting works for some learners, I am sure ‘sound biting’ could work for others. The talent and skill of Sophie captured the day for me in phrases, one liners, provocations…. Will I remember more from her summation than I will from the TED talks? For others to summarise and capture a journey, it has been through their thought process, their filter, and interpreted by them. What if we all made our own sound bites? 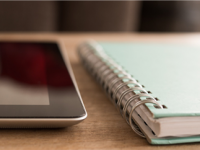 What if learners captured their learning in sound bites, promptly, if not immediately after their learning? How could we make this a regular part of our learning journeys? Yesterday I captured sketchnotes, well, more like notes really, from the talks. Today, I am going to capture sound bites, from the five talks that impacted deeply on me, phrases that I will speak and record as I attempt to embed my ‘ideas colliding’. Starting with Sophie Rae — Poet: Always tell your story, tell it from your heart, tell it, retell, in written language, oral, or in images. Lucie Ozanne — Researcher: Care networks are all we have. We must CARE. We must make a difference for those around us at all times, so that in times of crisis or adversity our networks sustain and support us. I must explore the concept of Time banks! Dame Diane Robertson — Missioner: The Family 100 Day Project Demonstrating the complexities of being poor; an empathy tool. 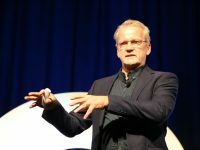 Barry Vercoe — Digital Musicologist: The future’s not ours to predict, it is ours to design! Support the crazy ideas! Grant Ryan — inventor: We need the BHAG (Big Hairy Audacious Goal) of being predator-free soon! We need the return of the cacophony of bird sound! All of the talks were livestreamed and will be available on the TEDxChristchurch website soon. I heard and saw the talks. I captured them in sketchnote form and sound bite. I used the sketchnotes to create the sound bites. I know many of these messages are staying with me, shaping me, causing me to think and behave in new ways. Just as no one-size-fits-all, no one-style-of-capturing, synthesising, and recording, or journey works for all. How can we maximise learning in our classes, schools, and clusters by modelling, inviting, or even demanding, regular reflection in a variety of methods? 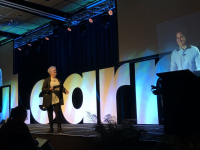 How can we whakairo the learner story?